Consumers turn to TPO for help concerning a huge variety issues and the scheme receives over 16,000 enquiries a year from buyers, sellers, landlords and tenants who have been unable to resolve a dispute with their agent. As the UK’s largest property redress scheme, over 95% of sales agents, and 85% of letting agents are signed up with the scheme. TPO’s free, fair and impartial dispute resolution service is a genuine alternative to the small claims courts. TPO is the only property organisation to have its own Codes of Practice approved by the Consumer Code Approval Scheme (CCAS), which go above and beyond the law to protect consumers. TPO is not a regulator but the Ombudsman’s powers mean that a member agent can be held to account for their actions, thanks to the scheme’s CCAS-approved Codes of Practice. The Codes are crucial when reviewing complaints as they underpin the way each case is investigated to ensure a consistent and fair approach for all parties. The consumer and agent are signposted to the exact section(s) of the Code so there is complete transparency about how each case is reviewed to achieve a fair outcome. The cases which cross the Ombudsman’s desk can be highly complex, involving numerous issues, which can span months or even years. Each case is different but the way the Ombudsman reviews them is exactly the same. The examples below highlight just a few of the thousands of disputes TPO reviews every year. 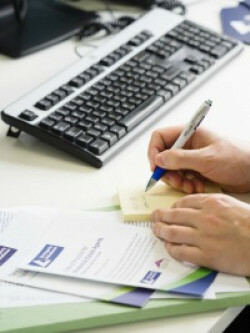 To find out more about how TPO’s Codes of Practice are used to hold agents to account for their actions, please visit the scheme’s website, where you can search for registered agents, find out more about the complaint process, and view a variety of case summaries that demonstrate the work TPO does to protect consumers from unfair practices. LETTINGS DISPUTE: WHEN SHOULD AN AGENT DISCLOSE THEIR FEES & CHARGES? Summary: Tenant fees and charges are a hotly debated topic in the media and within the industry. The tenants who made this complaint claimed the agent only disclosed all their fees and charges after they had paid a non-refundable holding deposit. The Ombudsman’s independent review of the case looked at what information was disclosed and when, to assess if the tenants were treated fairly. Outcome: The Ombudsman found the agent had denied the complainants the opportunity to make an informed decision for a range of reasons and instructed them to pay an award accordingly. Read more: View this case in full here. Summary: This case concerns potential buyers who claimed the agent failed to disclose material information about a planning application for the development of 850 houses opposite a property they wanted to purchase. Outcome: The Ombudsman supported the complaint (in part) and instructed the agent to pay an award for the avoidable distress, aggravation and inconvenience caused to the complainants. Read more: Discover what new information came to light during the case review here. Summary: This landlord claimed their agent was negligent and in breach of contract for its failure to adequately reference two tenants who went on to accrue significant arrears, resulting in a court possession order. The agent, who used a recognised third party referencing company, disputed the claims and the landlord lodged a complaint with TPO seeking nearly £20,000 for rent arrears together with compensation for emotional trauma and distress. Outcome: The Ombudsman can only review the actions of the agent, who was found to have acted in good faith and the complaint was not supported. Read more: Find out why the Ombudsman did not support this particular complaint - click here. Summary: The complainants in this case accused their agent of misrepresenting a property and misleading them into signing a Tenancy Agreement by advertising that the property had parking. Outcome: While the agent explained that they made a “genuine mistake” the Ombudsman considered that the agent had a responsibility to check specific details of the tenancy (and whether parking was included). The Ombudsman awarded a goodwill gesture and reinstated the agent’s offer. Read more: To find out more about the measures the agent went to in a bid to resolve the dispute, please read the case summary in full here.